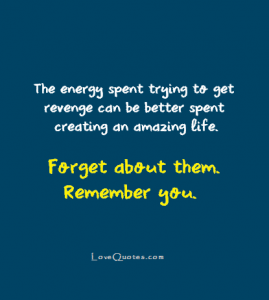 The energy spent trying to get revenge can be better spent creating an amazing life. Forget about them. Remember you.